One of my main problems with my skin is hyper pigmentation or dark spots, which have been left behind after my teenage acne. It’s what I’ve actually been trying to get rid of, but I have been going about it all wrong, well not completely. I just mean I buy a lot of things for oily skin (which I do have), but it’s not the thing that really bugs me about my skin. So over the past month I have been looking and reading, about things for hyper pigmentation and dark spots. 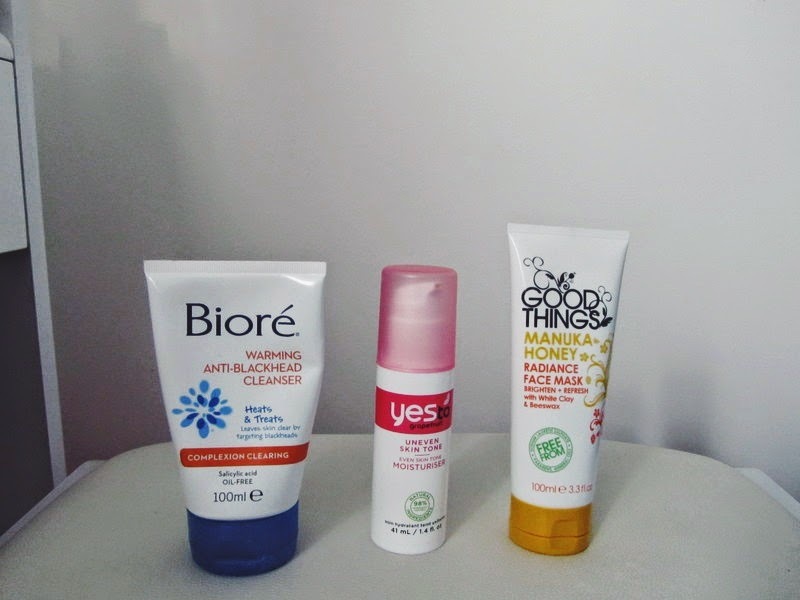 So my research has led me to a variety of blogs and websites, but I have finally settled on a list of products that have been highly commended. 1. La Roche-Posay Biomedic Pigment Control - First off is actually called Mela-D Pigment Control in the US and was the version I originally started off looking for. I've always heard such good things about La Roche-Posay in general, so I'm hoping this fits in with the rest of the gushing reviews. The fact that this has Kojic acid in it makes me want to try it even more, as I've always read that it's good for hyper pigmentation. 2. Even Better Clinical Dark Spot Corrector - This is something I've heard about without even realising it, I didn't even register in my mind that it was for dark spots even though I've read bits and bobs on it. This is quite easily accessible and I have never tried anything from Clinque so I'm very tempted by this one. 3. Garnier Skincare Skin Renew Clinical Dark Spot Overnight Peel - This is one that doesn't seem to be available in the UK, so sadly it's a case of ordering it in. I'm interested in it because it's an overnight peel, a unique edge that none of the other products have, as the majority of them seem to be serums. They also do a Dark Spot Corrector, which I assume is just a serum. I find it very interesting (and annoying) that Garnier don't seem to have a similar offering to this product in the UK. 4.Vernal N-E Dark Spot Corrector Cream - This is actually a brand I have never heard about. But during my search it came up numerous times. It is said to give you fewer spots in 8 weeks. Also note that this is a cream so not a serum or peely thing like the previous three. 5.Murad Rapid Age Spot and Pigment Lightening Serum- Again another product you'll have to get online in order to try it. I'v heard loads of good things about Murad and I know there is a counter in one of the department stores on Oxford Street, so I think I might have to get myself done there and see if they have it. According to their own study 85% of the people who tried said they saw their spots lighten in just one week. Big claims, but hey I'm desperate here. 6.Youth Code Dark Spot Correcting & Illuminating Serum Corrector - Can you guess what I'm going to say?! Again another one not available for purchase in the UK. So as I said a dozen times, most of these aren't actually available in the UK but can still be shipped here! I’m basically going to make my way through these products to see what can help to reduce my dark spots. I’m not hoping for absolute clear skin, but I would like to see a reduction in the scars. I also came across these when I was searching up information on those six products. Although I haven't heard too much about these, I thought they were worth popping into the post and having on my list - as it's never a bad thing to have a range of products to work from. 1.Kiehl's Corrective Dark Spot Solution - I actually have a long list of Kiehl's products that I want, but was surprised to find out they offered something for hyperpigmentation too. 2. Estee Lauder Idealist Even Skintone Illuminator - I'm actually really intrigued by this, simply because I've heard so many good things about the Eastee Lauder Advance Night Repair Serum, so hopefully this is good for people with hyperpigmentation. 3. Philosophy Miracle Worker Dark Spot Corrector - I've heard good things about Philosophy, so this one could be a winner. 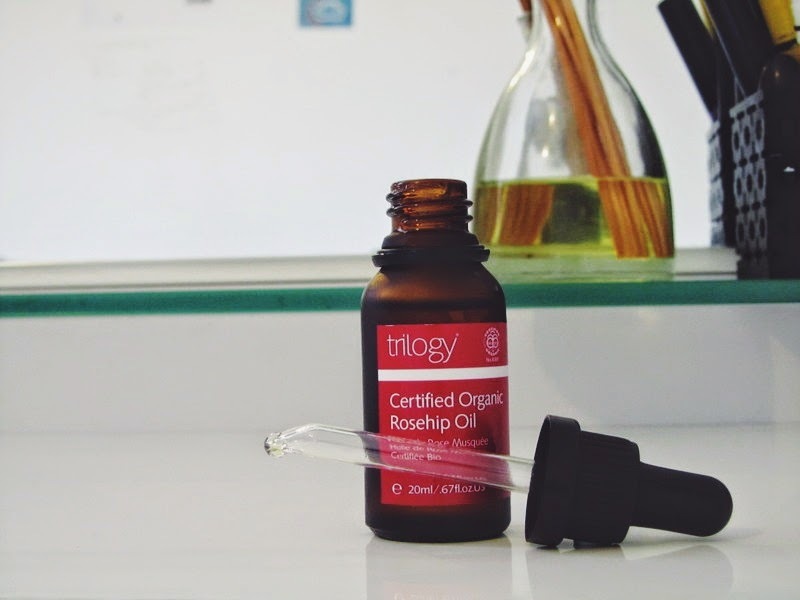 If you read this post, you'll know that I'm currently using Triolgy's Rosehip Oil. So if that doesn't work, keep an eye out for my purchases (and reviews) about some of these products! 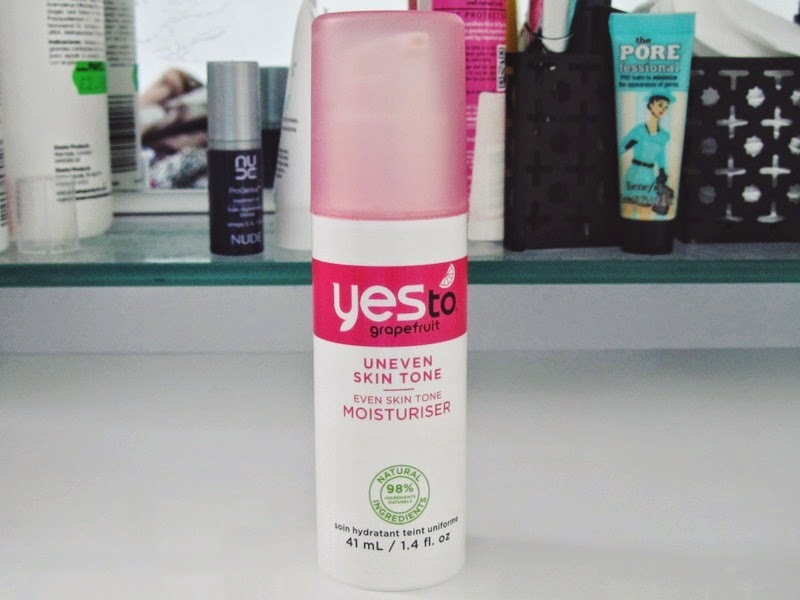 I’m also using Yes to Grapefruit Even Skin Tone Moisturiser, that I mentioned here, in the morning to help with the hyperpigmentation. Do you have any recommendations for hyperpigmentation? I would love to know what has worked for you. I have been having a bit of Feel Unique moment (I dread calling things a haul, as I never know if I'm using it correctly but hey ho) and I am constantly browsing their store and finding all the products I see raved about on blogs. So I bit the bullet and made some purchases. Well I bought three things in two separate orders. 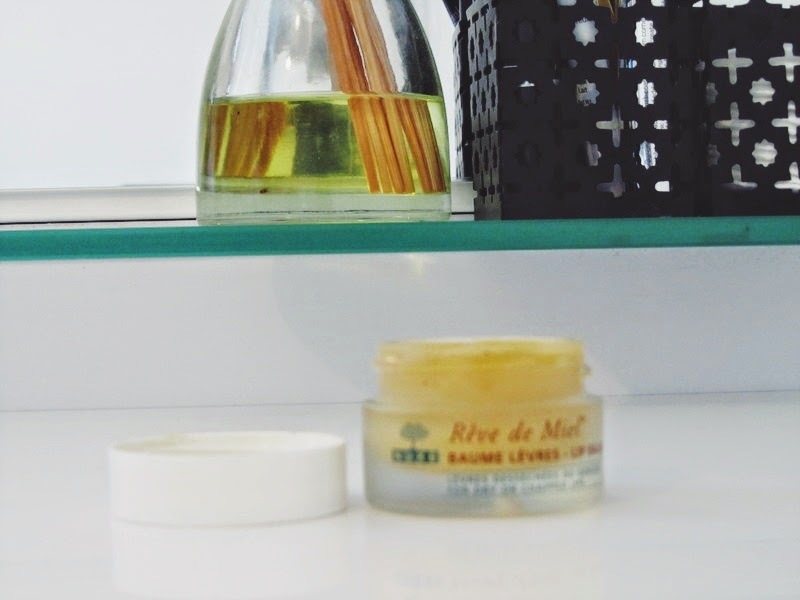 The first is the Nuxe Reve de Miel Baume. I actually only ordered this on my first purchase because my lips got really sore and chapped about two weeks ago and I was super tired of using Vaseline, because I know it’s no good in the long term. So I decided to invest in this and I love how it’s actually a balm, it’s really thick and lasts for up to four hours. I mainly use it in the night but do carry it around with me during the day incase I need it. It quickly sorted out my sore and chapped lips and it’s going to be perfect for when winter hits! So then last week I was browsing again with some sort of purpose. 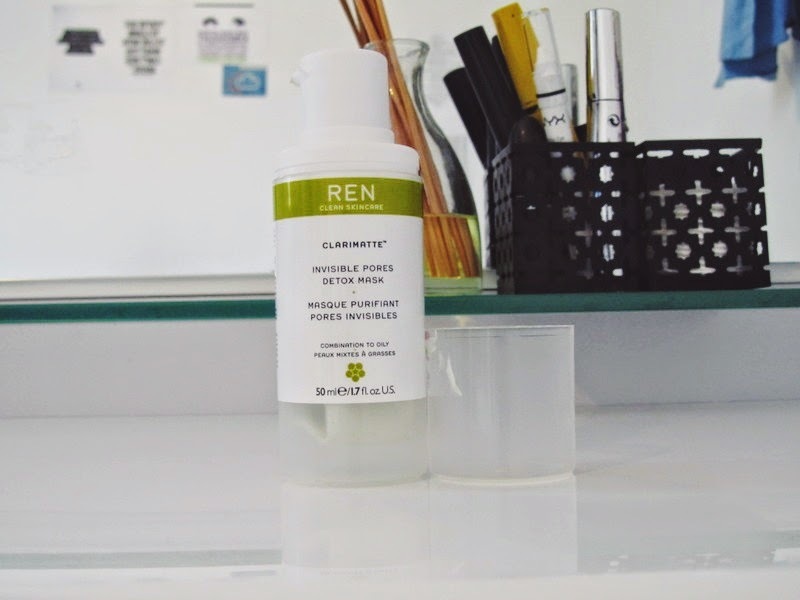 I decided I really needed a good detoxing mask for pores and decided on the REN Clarimatte Invisible Pores Detox Mask. I had a sample of this like a year ago and I really liked it and I know it has really good reviews overall so I gladly popped it in my basket. I adore how after using this mask the skin doesn't feel stripped. I feel a lot of clay masks do tend to strip your skin a bit, but with this it's perfect. My final purchase alongside the mask was the Trilogy Rosehip Oil. I read in a blog about two weeks ago how this helped with their hyperpigmentation and so I popped it on my shopping bookmark (which has over 100 things) and didn’t think about it. But lately sorting out my hyperpigmentation has been big on my agenda so whilst getting the mask I thought it was worth grabbing this. I’ve heard many many good things about Rosehip Oil, and it's a bit of an all-rounder product so I can even use it on my stretch marks! 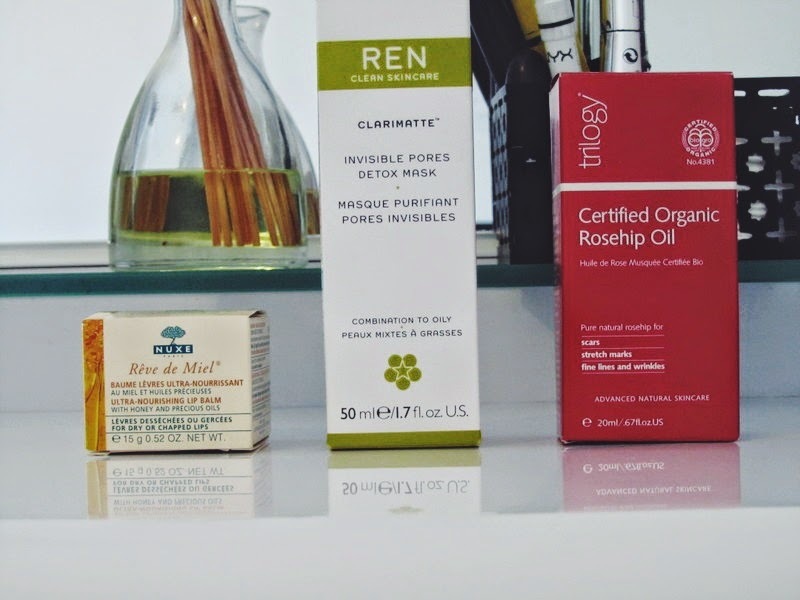 So currently I’m injecting these three into my skincare routine and I’m quite pleased with my purchases. Those two bits arrived this week, but I've already used them a fair bit already!I’d like to say that I am satisfied and am never buying a thing again but no, I am now lusting after a lot of products! Mainly the Ole Henrikson The Works Kit, it has three products I’ve been wanting to try but it’s sold out :( Which is probably a good thing for me for now, but I desperately need it in my life. The Emma Hardie Moring Cleansing Balm is also trying to sneak its way on to my list because I am desperately in need of a new face wash/ cleanser. But hopefully I’ll be good because I need to do some serious saving this month! Man oh man I loved this months Birchbox. I know I said that about last box but nope this box tops it. Seriously. 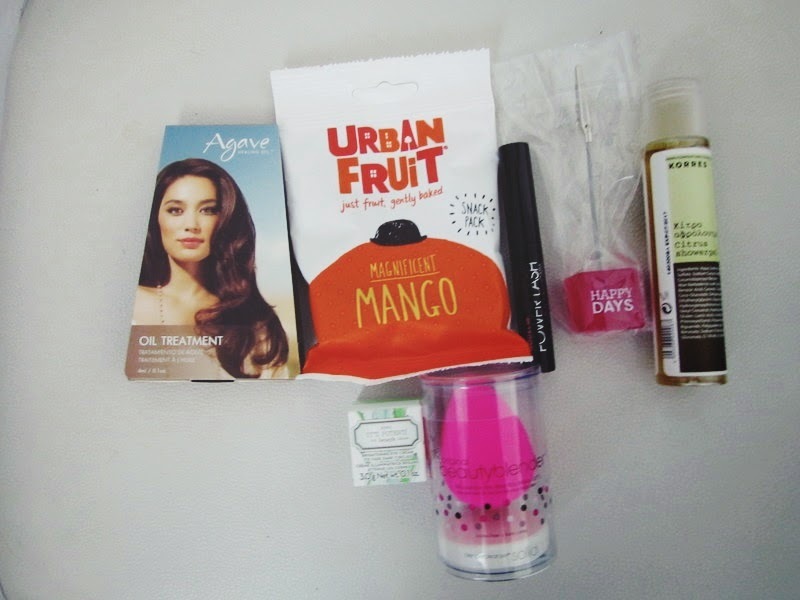 In my first review/unboxing of the July Birchbox (which was my first one) I mentioned how I subscribed because of The BeautyBlender and guess what only just ended up in my box this month?! Oh what a sweet miracle, the beauty deities were definitely looking down on me this month! The theme this month was 'Happy Days.' I personally couldn't give a crap about the theme, but the box was pretty! They also gave you the chance to pick one of your products, it was between a mascara and a lipstick/lipgloss and maybe something else. So basically this month was quite different to what I have seen from the past two boxes. 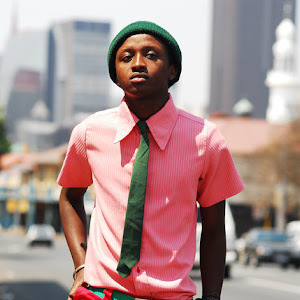 Anyway on to the goodies! Korres Citrus Showergel - I'm loving these shower gels because it means I'm always stocked up for the gym! I am yet to try this but I am excited to try something by Korres. 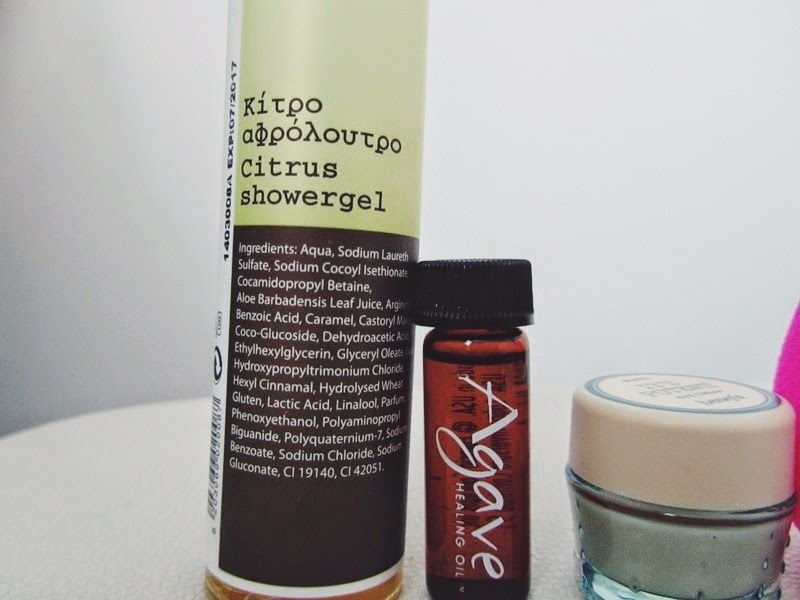 Agave Healing Oil Treatment - I am super excited for this! I have seen my hair Youtube Crush talk about Agave oil that she uses on her natural hair, and I have been intrigued by it. So imagine by surprise when this was in my box. It is meant to be so good for hair and this one smells divine! I am yet to use it on my weave or my hair but I shall definitely be doing so! 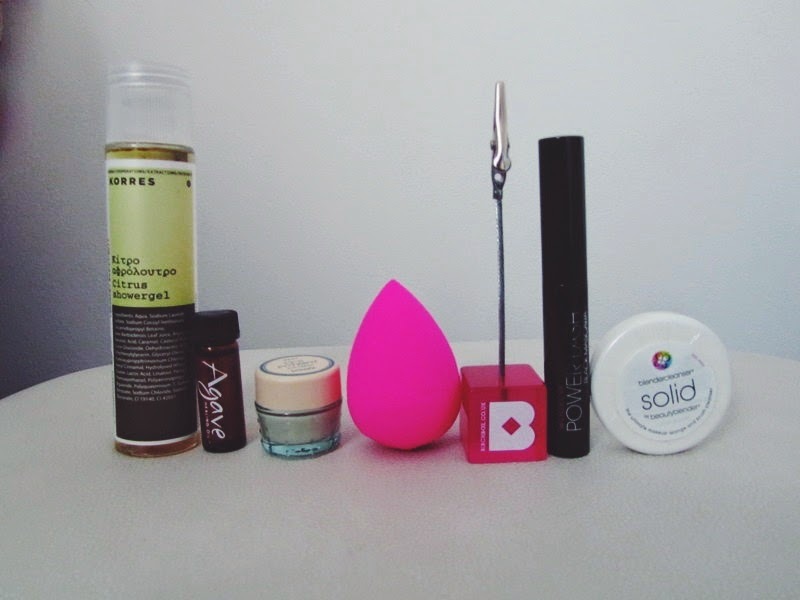 Beautyblender + Blendercleanser Solid - The star of the show! I think this is the full size blender and it came with the soap which, I've already used to clean the beautyblender and my brushes! 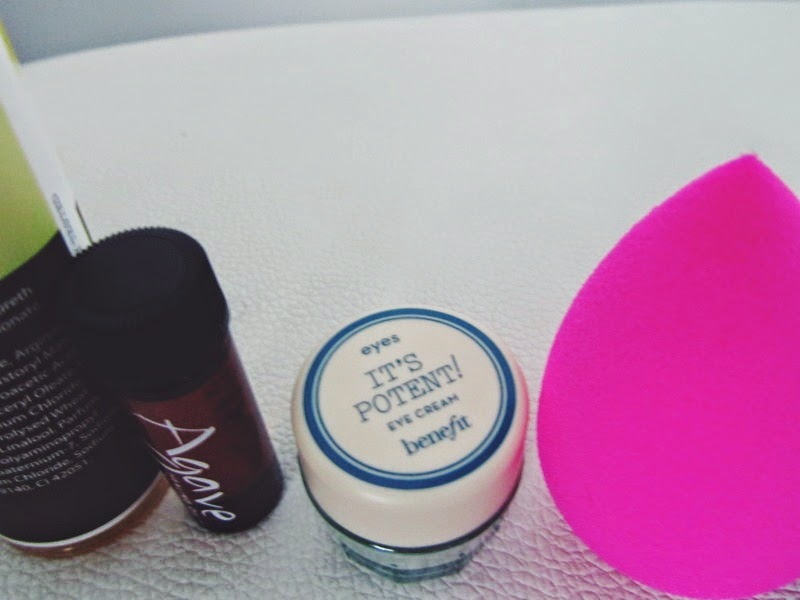 I've tested out the Beautyblender and I can safely say that I see what all the fuss is about, it makes my foundation look like my own skin and is just very flawless. Oh to love a make up item! Benefits It's Potent! 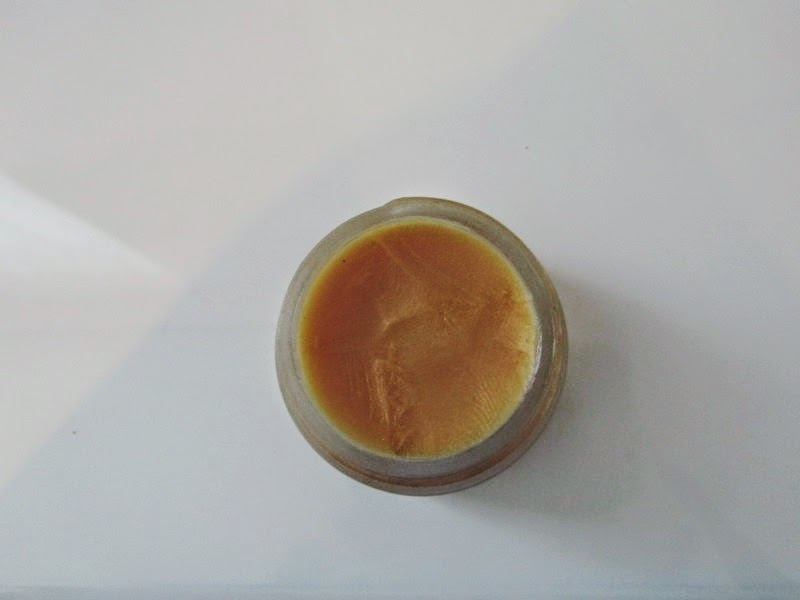 Eye Cream - Another eye cream! I still haven't used up my Balance Me Eye Cream because I am lazy at incorporating it into my morning routine. But everyone says this is really good, so looking forward to trying it. 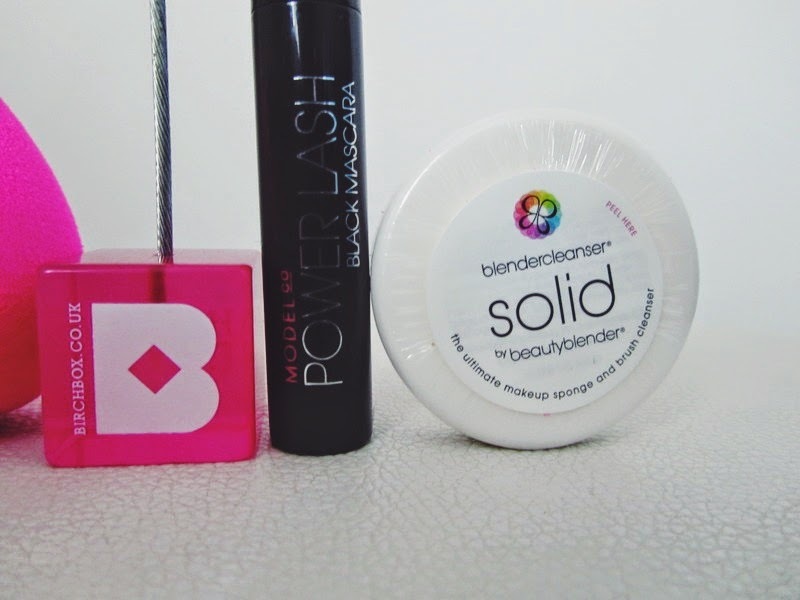 ModelCo Powerlash Black Mascara - This is the product I chose when they gave us the option of choosing something. I have tried this and so far I think it's okay. I am looking forward to trying it out some more, I do like that it's a smaller size because it's easier for putting in my make up bag. There were two other bits I got which was the Birchbox Photo Clip, they had collaborated with Photobox, hence the Photo Clip. Not sure I'll actually get any use out of this as I don't ever print photos, but it's pretty. 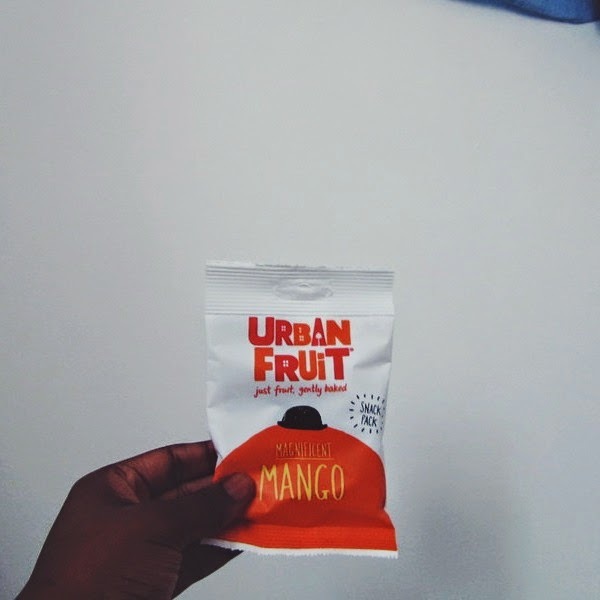 I also got a fruit pack by Urban Fruit (as shown in the last picture) in Magnificent Mango. I don't like mango so I gave it to my mum and she really liked it! So that's it for my September box. I'm definitely enjoying the beauty box samples so far, I am also getting through a fair bit of the samples so expect an empties post soon with mini reviews! So thanks to Lily I had to go and try out DF Mexico. I'm not really a fan of Mexican food (something that seems to shock everyone), my past experiences have just left me feeling very full and bleh (I'm looking at you Chiquitos) and honestly, I just feel it's the same food packaged differently. I don't like churros either. Just no. That said I frikkin love nachos. Seriously I will eat them all day, every day. Anyway fear not I don't hate all Mexican food. 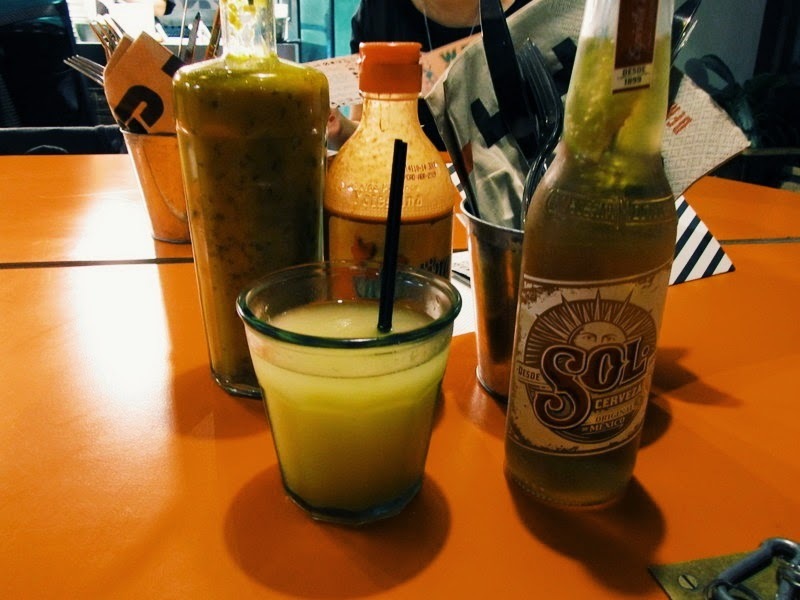 I'm actually a huge fan of Wahaca, granted I've only been there twice but I really really like it. If you haven't been it's basically marketed as Mexican street food, I wouldn't know if that's true as I've never been to Mexico, but it's good. Some of the dishes are a bit like tapas, so you end up with a variety of light flavourful dishes. So after Lily's vlog I looked at the menu for DF Mexico I was excited. Everything looked so bloody good! 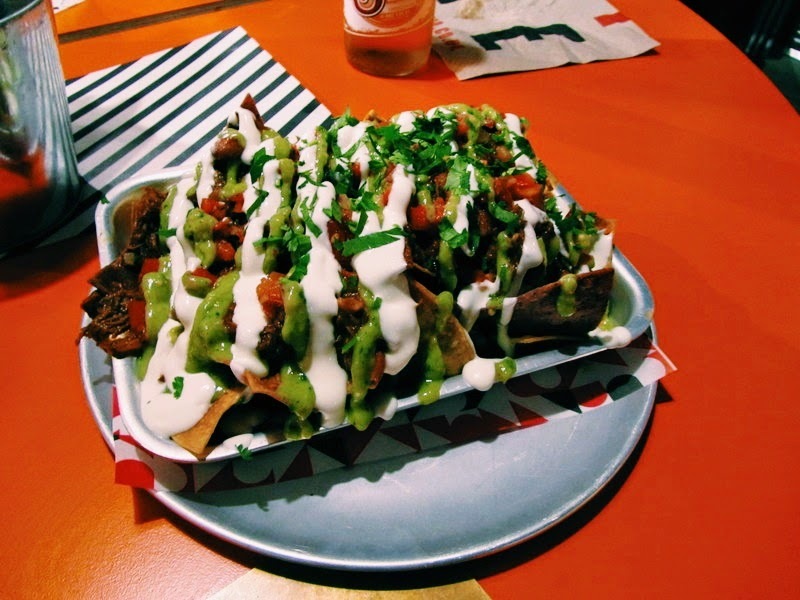 I did a little further research and saw that DF Mexico (DF stand for Distrito Federal because I know how much it bugged me that I didn't know what the stood for) and Wahaca were owned by the same group and I was like yup I AM GOING THERE and so I did on Friday. I'm not a food reviewer and I'm not even going to try and act like one. But here are pictures of how frikkin glorious the food was, I actually didn't manage to take a lot because I was hungrrrrrrrrry. I had soup that day at like 1pm and we didn't eat until 8pm! 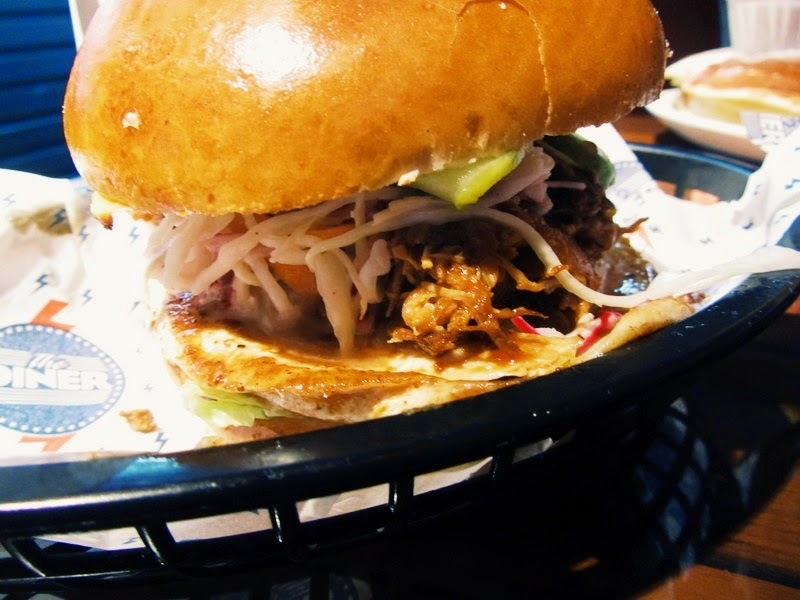 I had the Chilli Beef Torta, which was nice but didn't blow me away! We also had the beef nachos to share and oh man, they were absolutely amazing. I want to have them again and again. 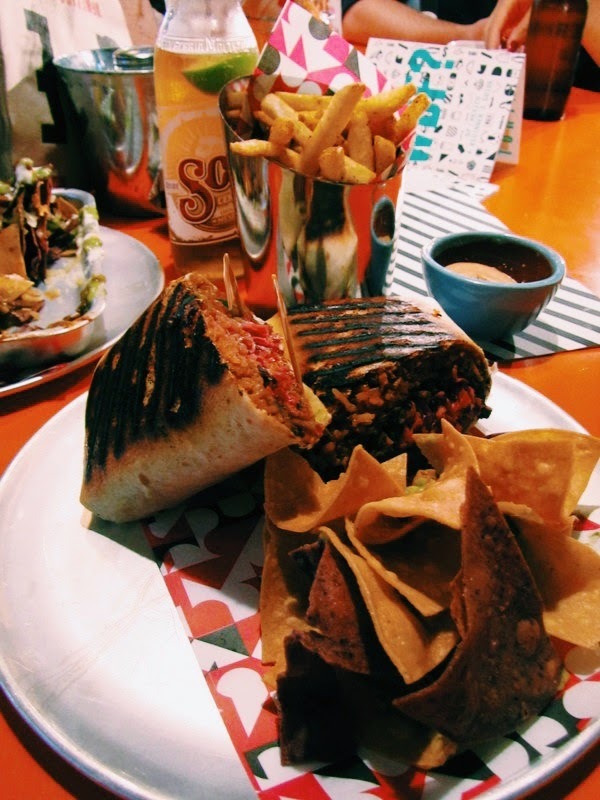 Chilli Beef Torta with Chipotle Mayo. Not the best pictures, but I tried. I'm looking forward to going back and having the nachos again, but I also really want to try the DIY Mexican Boards. I did more research after (I like to know my stuff okay) and it really hasn't been open for long, my guess is like 3 months? 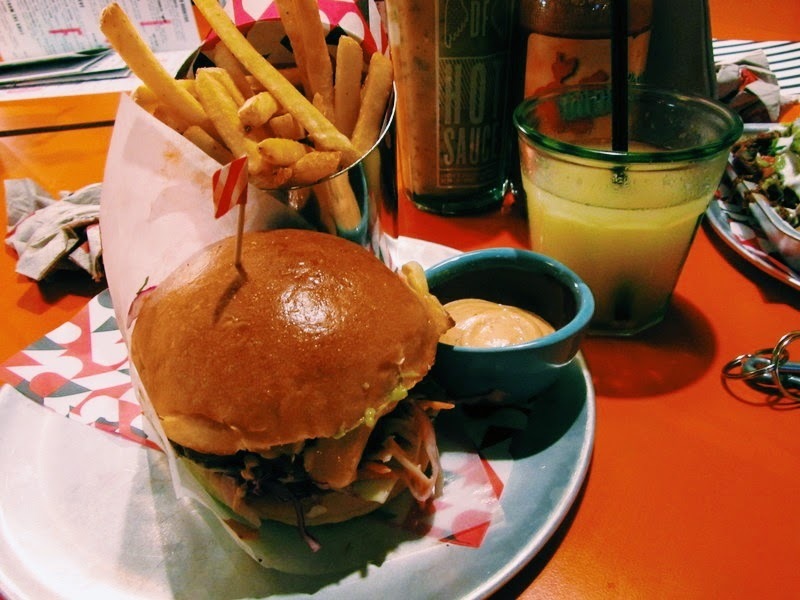 It's also meant to be cheaper than Wahaca, so wahey! Not that I found Wahaca to be incredibly expensive but who doesn't like cheaper? Our meal came to like £35 something with drinks. Absolute bargain! The staff were lovely, the atmosphere was lovely AND whoever runs their twitter account is an absolute champ - so hilarious. Bonus photos include lunch at the Diner on Saturday. Anyone who knows me knows I just love their chilli cheese fries. So I in addition to my earlier statement, I could eat that, and nachos all day every day. Yes I did order that all for me. I was feeling sorry for myself. I took the rest home in a doggie bag! Some sort of BBQ chicken burger thing. Meh. 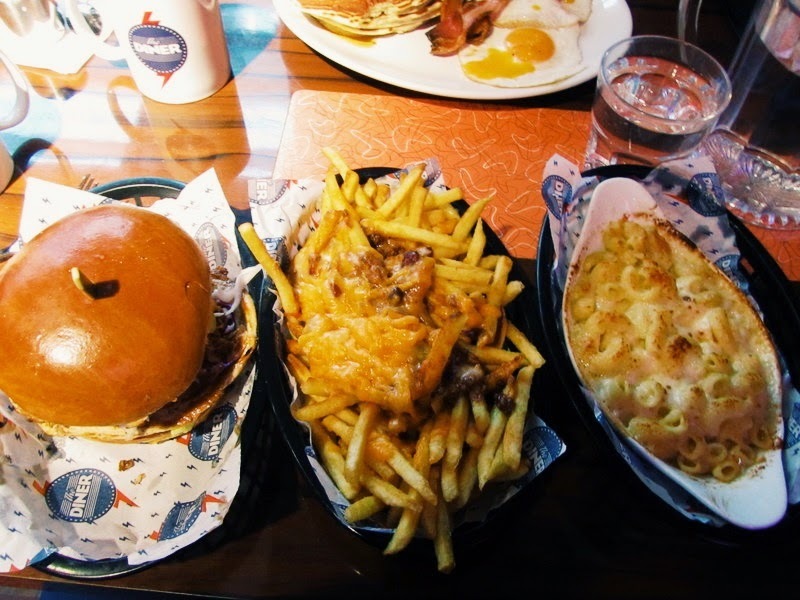 Despite my love of The Diner, I can never recommend their burgers! And now I return back to veggies and fruit for the week...until next weekend that is! So obviously I love myself a wish list but let’s be realistic here – most of them get forgotten about after a week. So in order to avoid this and get the pieces I really want, I am creating the lust list I guess. Things that I am lusting after, but with good saving and budgeting on my part I can have. I have to blame itslinamar for this one. After seeing them on her channel I was like 'MY PRETTYY'. 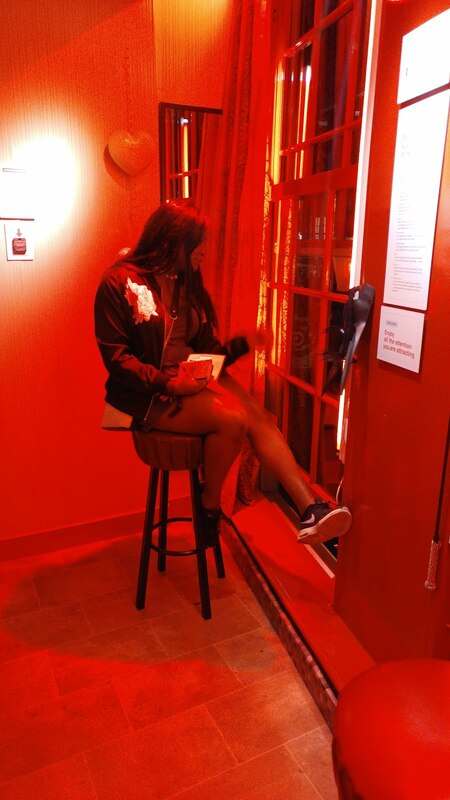 I remember seeing the Liberty x Nike trainers floating around this year and they never really interested me. 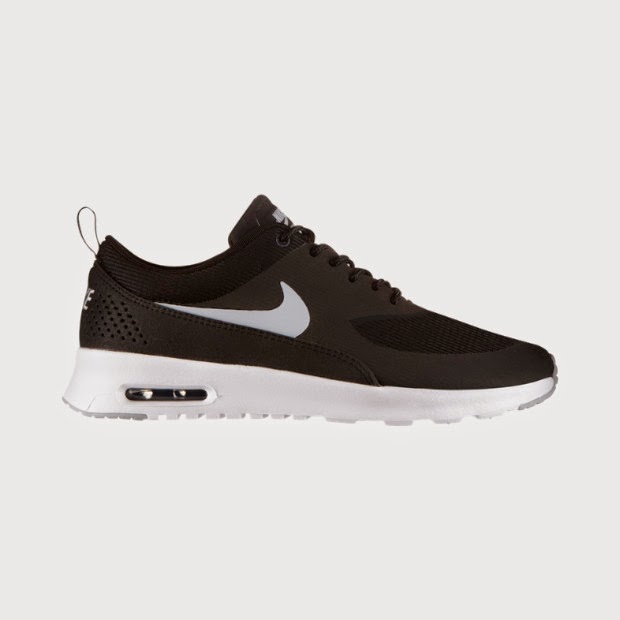 But these babies I love because of how sleek these are unlike the regular Air Max's. I don't really wear trainers too much, I had a couple of pairs during secondary school and then I just never wore them. I now have one pair of trainers (which I love) but it's getting well past it's time. I'm really picky about trainers because I think a lot of them look garish, so when I saw these I practically breathed a sigh of relief. I love that they are black and white, but like I said before not as thick as the regular Air Max's. They are just so frikkin simple, they can just be worn with everything (or near enough). 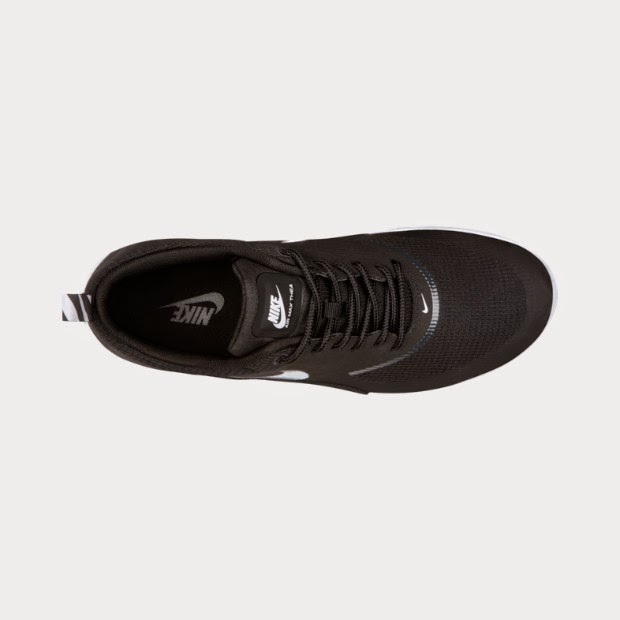 I will cry if I get them and they don't suit me. So in addition to this, I am building up a list with things that are on the pricer side (I'm totally not used to paying this much for shoes, except running trainers), but are bits that I dearly want, so look out for similar posts in the coming months! What your must-have lust item? So this month I really want to get my read on. I read quite a few books last month, but since I am taking part in the Goodreads Reading Challenge and I am 4 books behind, I thought I better get myself into gear. The end of the year is approaching quite fast and I’m on 23 out of 40 books, uh oh. *bare in mind I'm linking you to the paperback copies of the books, but in most cases I have purchased them for the Kindle. 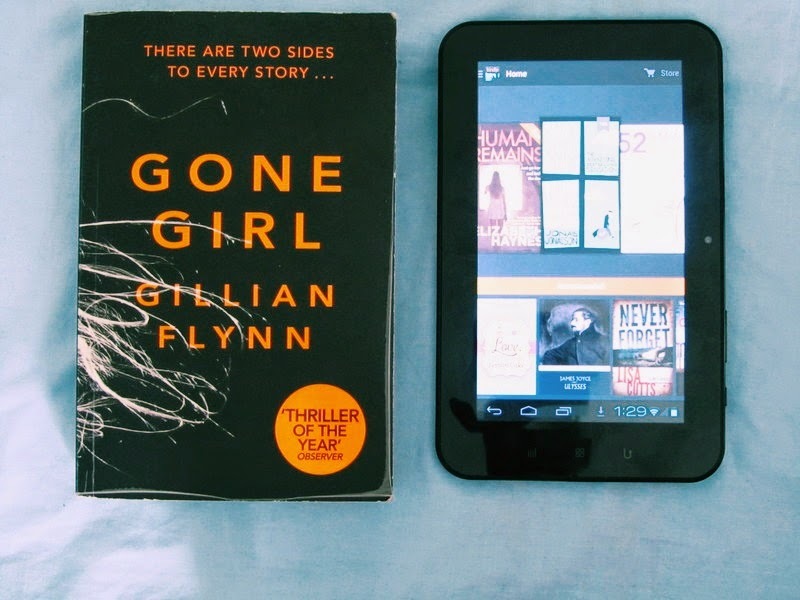 Gone Girl by Gillian Flynn This book was everywhere and at work we have a mini library where you can just borrow a book and that’s what I did. Is it bad if I say I read the back and I know what happens? I just couldn’t stand the suspense especially because I haven’t actually read a single review about the book. I know I'm naughty but I’ll still read it, even though it does seem booooring. 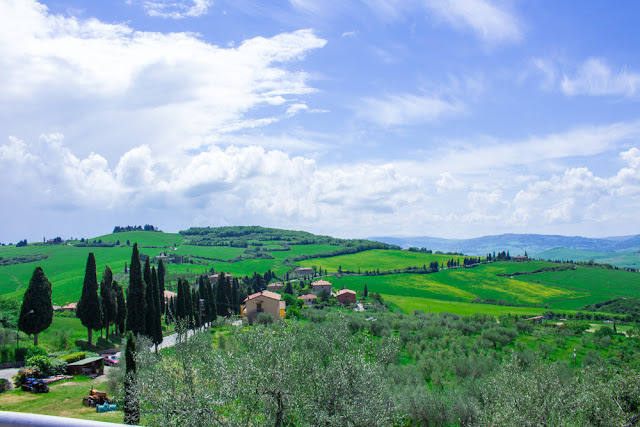 52 Small Changes: One Year to a Happier, Healthier You by Brett Blumenthal You might recall the name from this post here (still haven’t finished that book). I picked this up in a Kindle Daily Deal (shocking) and thought ‘yeah I could with being happier and healthier’. You are suppose to read it week by week, but nah I’m reading it all in one go to see if I can then do things week by week. Logic, what logic? Human Remains by Elizabeth Haynes The Kindle Daily Deals got me again! I like to read crime novels every now and then and after reading the synopsis of this I thought it was time to dip my toes into the world of crime books once again. Recommendation: I will leave you with a book I read in July/August that I absolutely adored. We were Liars by E. Lockhart. You will not regret this. I can’t tell you anything without ruining the story for you, but trust me when I say you will love it! It’s not a long read either, so go and pick it up! Have you read anything you’ve loved recently? Let me know because I am forever adding books to my list! 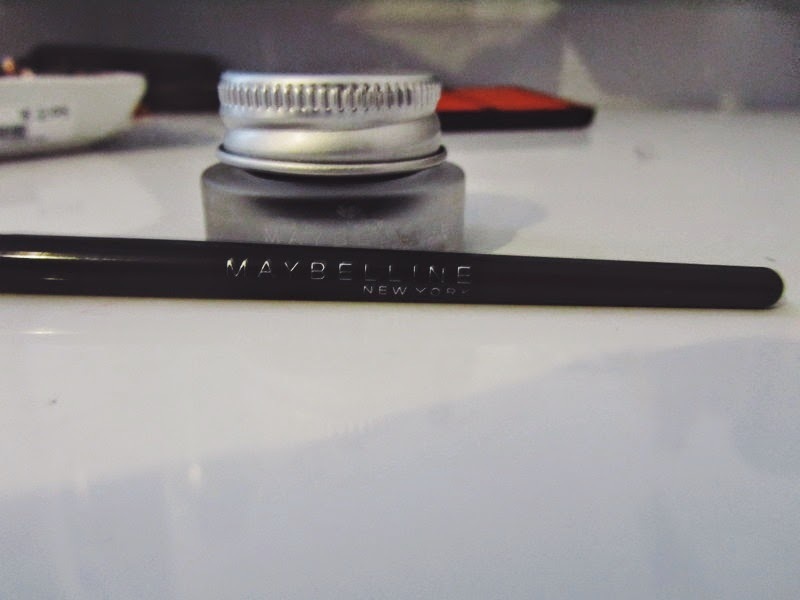 So the Maybelline Gel Liner was my introduction into gel liner. I’ve seen this talked about on blogs and my friend picked it up, saw I was well informed before I went to purchase it. But I just didn’t feel any two ways about it. Including this time I’ve used it three times since I bought it. Other than that it has just sat in my drawer. I’m glad I was able to purchase this and didn’t go straight into buying the Bobbi Brown one, which I had been lusting for a very long time. 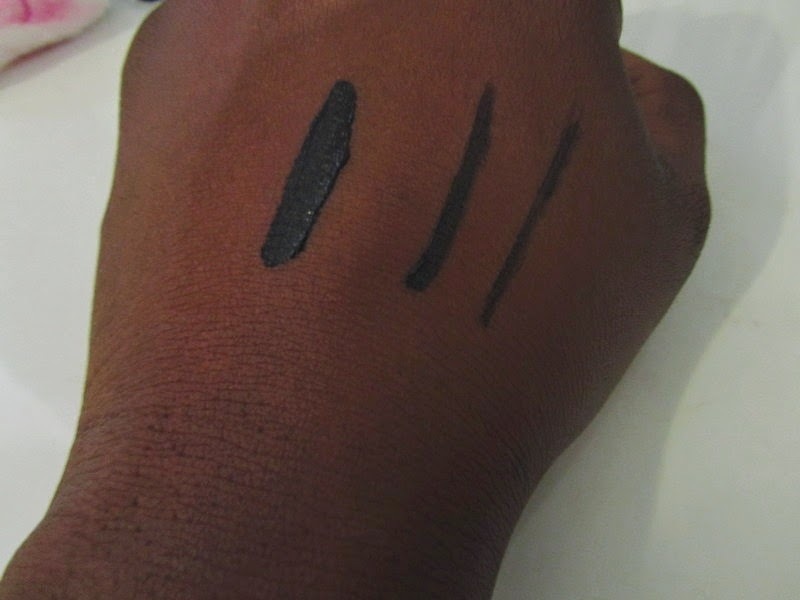 I currently use two eyeliners MACS blacktrack and NYC. 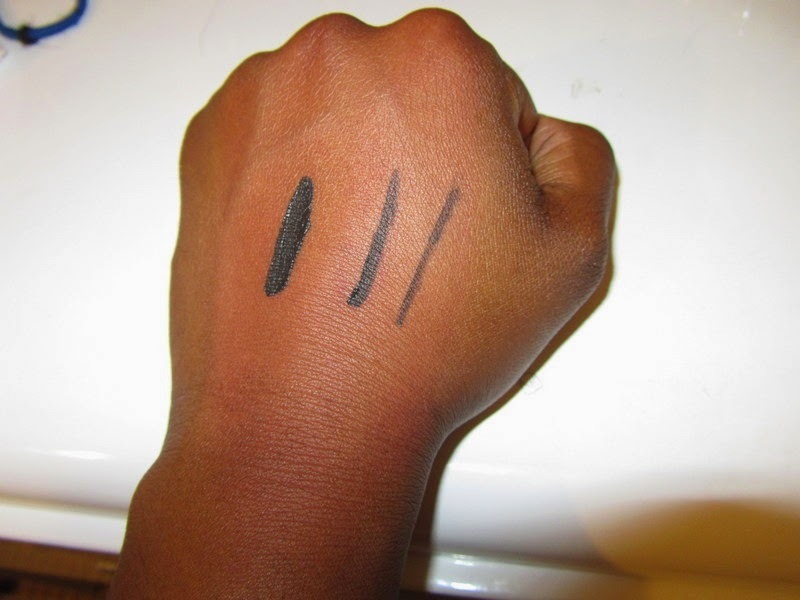 One is a fluid eyeliner and the other and felt tip one and together, for me, they work perfectly. So anyway instead of me yapping on about what I do use, let’s talk about why I didn’t like this. I’ll keep it short and sweet I promise, as there’s no need to bury the product! First off I don’t like brush it comes with. I feel like it’s impossible for me to achieve what I want with it. 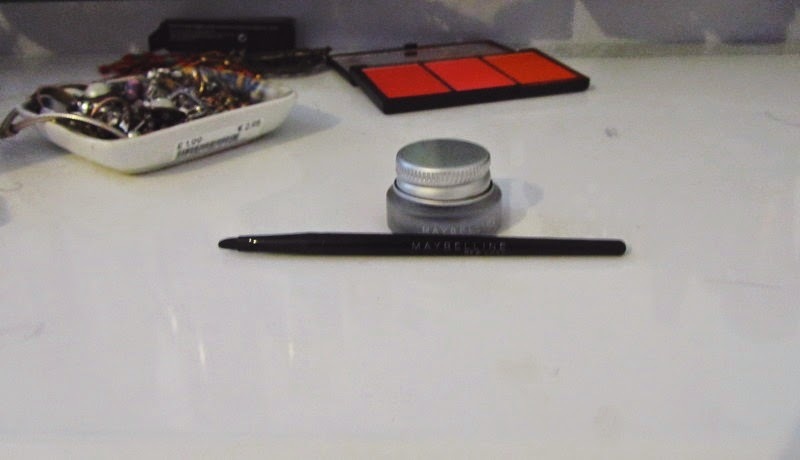 It’s too wide for me to swipe it across my lids, as I like my line to be much thinner, and trying to use it the other way is just silly. I think with an angled fine liner brush I could make the application process easier, but I don’t have an angled brush, so it’s a pain to put on. I've swatched it below so you can get a sense of what I'm talking about. Another thing is the finish – it is not as intense as I’d like it to be. I feel like it gets lighter when it dries, which I really really do not like. The final thing is the finish, obviously I do not expect make-up to last 24hours but I do expect to last for the duration of the day. Seriously with 4 hours this had come off. For me that's a big deal because I'm not the type of person who likes reapplying their make up on during the day. Having to faff around with the brush and getting it out of the pot would just put right off. I could have dealt with the other two let downs, but the last one nope. MAC's Blacktrack can be a pain to get off sometimes, but at least I know it's going to stick around! 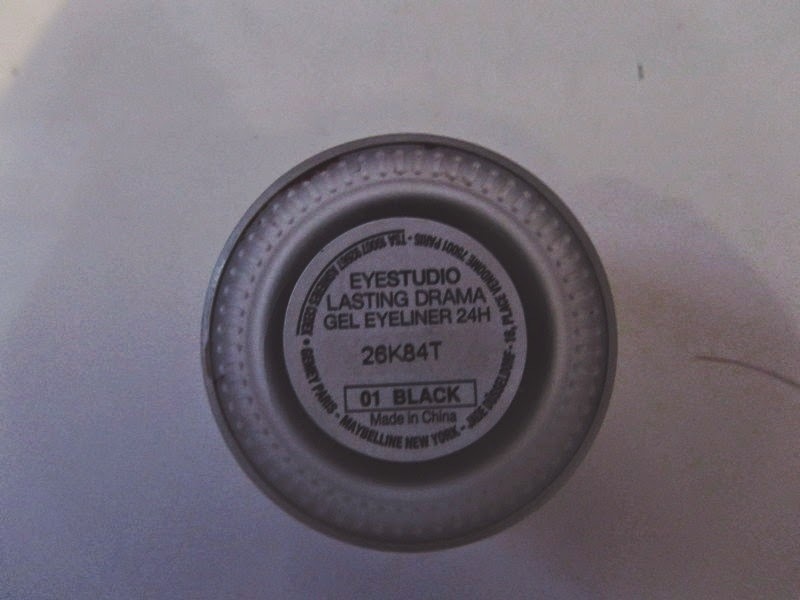 And there you have it - sweet and concise about why me and gel eyeliner do not get on! I’m glad I have the option of a gel liner but I don’t think I’ll be reaching for it very often. So I went online and had a bit of a snoop on Boots about a week or two ago and ended up with these three bits. So I really needed a new face wash, since The Body Shop in Camden closed down yonks ago I’ve been really lazy about getting my Seaweed Cleansing Facial Wash (although it is really good, I rave about it here). 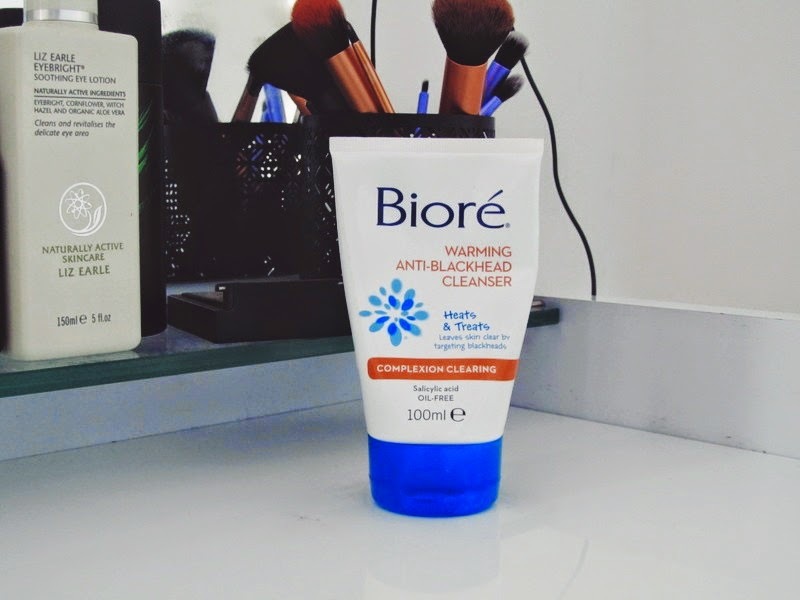 I’ve heard about Biore from their pore strips and although I’ve never tried them I was intrigued by the brand. 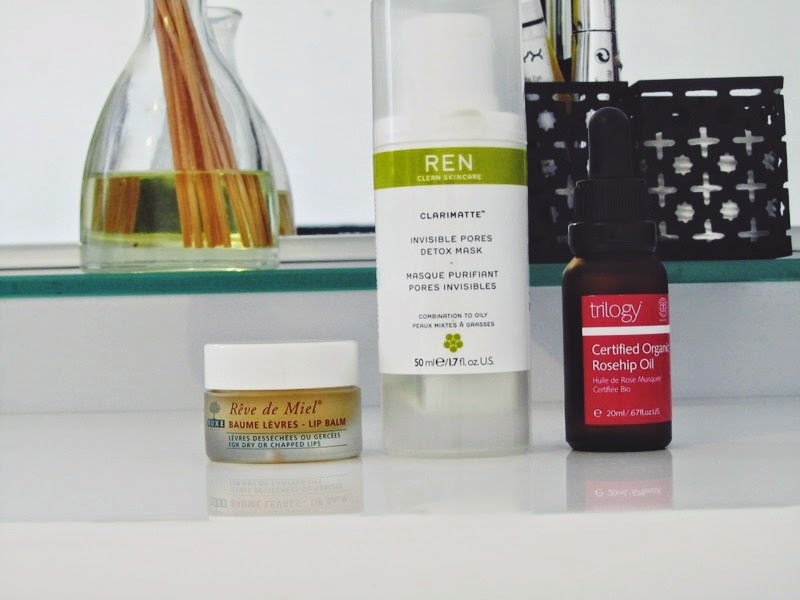 They seem to focus on blackheads a lot and I’m obsessed with getting rid of mine! I looked through their range of daily face washes and finally settled on this. I’ve been using it for the past week and I can’t fault it. The consistency is quite thick – it’s almost like a face mask rather than a cleanser. It warms up as the name suggests and then you just wash it away. I have indeed noticed that my blackheads are much less visible and I do think it is because of this face wash. The next thing I got was this mask. I already have a clay mask so I wanted something that would focus on radiance. I’ve heard good things about Good Things (see what I did there, it wasn’t even intentional) and it was 1/3 off so I decided to snap that up quickly! 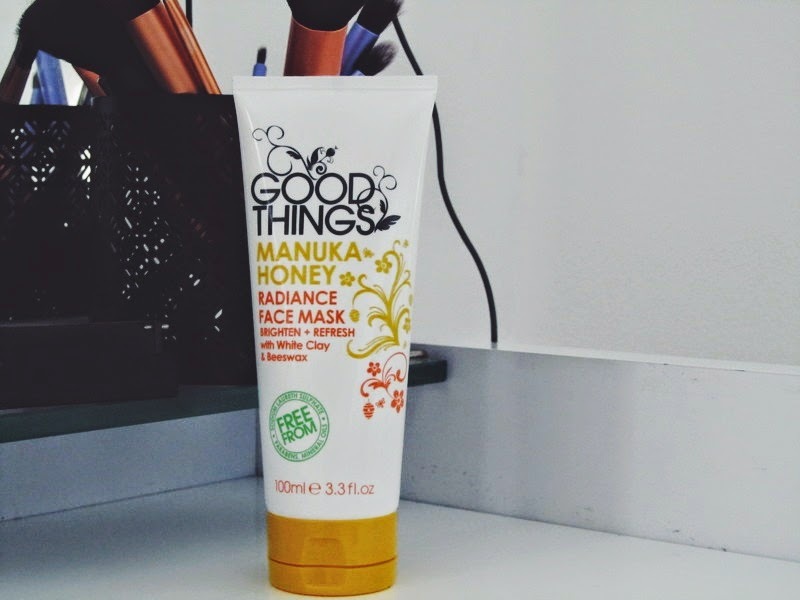 I’ve only actually used it once since I got it last week; I’ve had far too many late nights to bother with face masks, so I can’t give a verdict on this yet. It does smell super super good though and I really like the fact that it has white clay in it – drawing out impurities, all day, every day! So this was my final purchase. 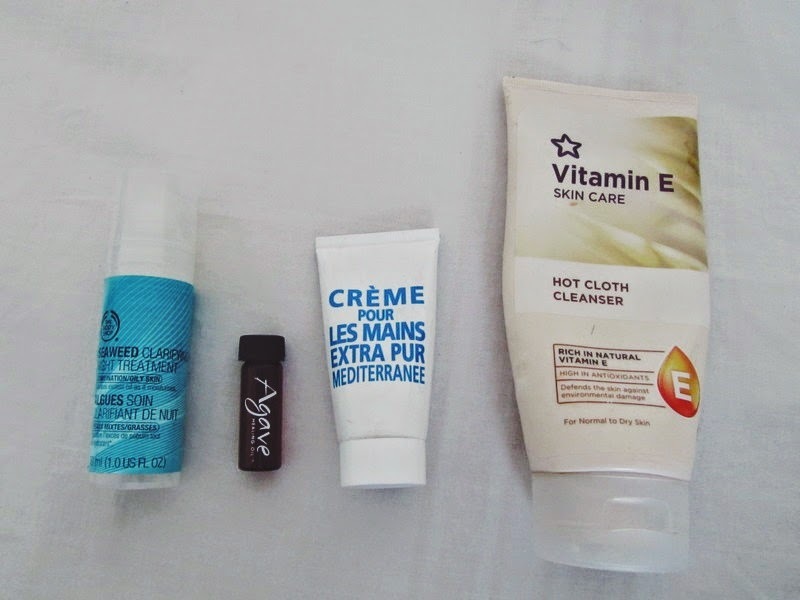 I really need a new moisturiser and I was pretty much happy to spend anything on it. So I’m browsing as you do, and stumble across a Yes To Carrot moisturiser or something and I’m like interesting. So click onto the brand and find the products targeted at my skin type and it is the Yes To Tomatoes range and guys, I can’t deal, I hate tomatoes and don’t want my face smell of them. But further scrolling down sees they have products for uneven skin tones, which is me all over. So me wanting to try something new, AND finding something that is supposed to help the appearance of dark spots, resulted in this purchase. So after that long ramble what I have to say so far is I haven’t seen any changes, but I’ve been using it for a week. I’m certainly going to take pictures so I can compare my skin now to when I’m finished, as I feel with these things you might miss them when you’re hoping for a miraculous change. The one thing I do not like about this product though is the white cast it leaves on my face. It has a consistency like sun cream and leaves the white cast like sun cream, so I am not pleased. I also keep squirting too much out of the pump, which is super annoying. I’ve just gone back on Boots to link these and it’s been slashed down by a 1/3 – oh what a cruel world. So that is it for my skin haul, I’m sure I shall be back with a full review once I have used them all up! If you have any recommendations for oily and uneven skin I would love love love to hear them!